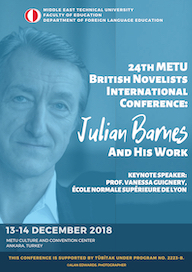 Seminar "The Poetics of Voice"
METU British Novelists International Conference, "Julian Barnes and His Work", Middle East Technical University, Ankara (Turkey), 13-14 December 2018. * "Hybridity, Postcolonial Studies and Salman Rushdie"
Lycée Claude-Fauriel—Saint-Étienne, 15 November 2018.
International Conference, "The Ethics of Survival in Contemporary Literature and Culture", University of Erlangen (Germany), 12-13 October 2018. Northwestern University (Evanston, Illinois), French Interdisciplinary Group and Program in African Studies, 12 April 2017. Northwestern University (Evanston, Illinois), French Interdisciplinary Group and English Department, 4 April 2017. 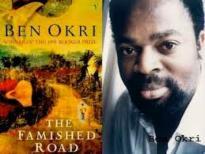 * "Pastiche, Collage and Bricolage: Caryl Phillips's Hybrid Journal and Letters of a Slave Trader in Crossing the River"
Agrégation Conference, University of Rouen, 21 October 2016.
International Conference. « Climates : what’s the weather like in anglophone literature & arts », University Sorbonne-Nouvelle, Paris 3, 14-15 October 2016.
International Conference. Caryl Phillips, Crossing the River: "the many-tongued chorus", ENS de Lyon, 6-7 October 2016. Asheville, University of North Carolina, 18 February 2016. SEAC international conference, ENS de Lyon, 16 October 2015. 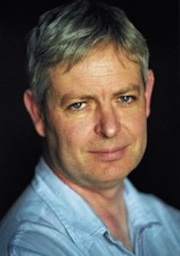 Keynote speaker for the Jonathan Coe symposium, organised by the Brunel Centre for Contemporary Writing and Professor Philip Tew - Senate House, London, 28 April 2015.
International conference « L’esclavage oriental et africain au miroir des littératures française et anglaise, xviiie-xxe siècles » of the LIRE research laboratory (Sarga Moussa, Daniel Lançon - CNRS) at the Institut des Sciences de l’Homme in Lyon – 6 and 7 February 2014.
International conference « The Imaginary of Space » organised by the Société d’Études Anglaises Contemporaines at the University of Nantes, 18 and 19 October 2013.
International Conference "Writers' Biographies: Hybridities, Combinations and Metamorphoses" (Lise Guilheneuf and Aude Haffen) at the University of Paris IV Sorbonne - 19-20 September 2013. * "Le genre littéraire: pourquoi faire? L'exemple du roman britannique contemporain"
Seminar TRYOUT (Marc Porée) at the Ecole Normale Supérieure, Paris - 18 February 2013. 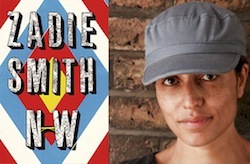 * "Zadie Smith's NW: the Novel at an 'anxiety crossroads'?" Conference of the Société d’Études Anglaises Contemporaines (Catherine Bernard) at Paris Diderot University, Paris - 15 February 2013. * "The Slave Book (1998) de Rayda Jacobs: l'esclavage musulman dans la province du Cap (Afrique du Sud)"
Seminar of the research center "Slavery" (Sarga Moussa, Daniel Lançon) at the Institut des Sciences de l'Homme, Lyon - 11 October 2012. Seminar of the research center « Littératures et théories postcoloniales » (Lise Guilhamon, Laetitia Zecchini) at the École Normale Supérieure in Paris - 3 February 2012. * "B.S. Johnson's The Unfortunates: Revisiting the Elegy." Conference of the Société d'Etudes Anglaises Contemporaines. University of Nice-Sophia-Antipolis. 6 November 2010. 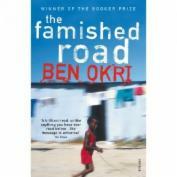 * "A Fat Man on a Beach: Conflicting Horizons in B.S. Johnson’s Work." 50th Symposium of the Société des Anglicistes de l’Enseignement Supérieur « À l’horizon » at the University of Lille 3 - 22 May 2010. 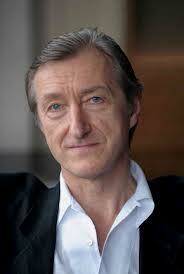 * "Julian Barnes: “English Francophile”." University of Erlangen- Nuremberg, 8 December 2009. 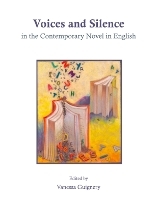 * “On the Other Side of Silence”: the Poetics of Voice in Contemporary Literature in English." University of Duisburg-Essen, 1 December 2009. * "B.S. Johnson’s The Unfortunates: Celebrating the Chaos." International conference: "B.S. 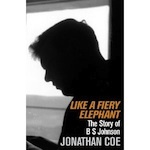 Johnson, his Contemporaries and the British Literary Scene 1949-1979." London, British Library, 12 October 2009. * "Julian Barnes and the French connection." Keynote speech. 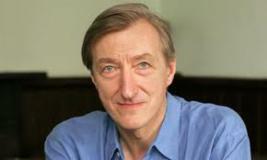 International conference: "Julian Barnes and the European Tradition." Liverpool Hope University, 14 June 2008. * "B.S. Johnson : l’équilibre de l’écart." Seminar of the research center « Texte et Critique du Texte » (Pierre Iselin, Elisabeth Angel-Perez) at the University of Paris IV-Sorbonne, 26 April 2007. * "Ethics and Experimentation in B. S. Johnson’s House Mother Normal." 8th Symposium of The European Society for the Study of English (ESSE) at Senate House, University College, London - 28 August-2 September 2006. 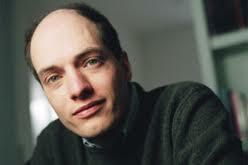 * "The Destabilisation of Genre in Alain de Botton’s Iconotexts." Conference « The Infinite Dialogue » organised by the Société d’Études Anglaises Contemporaines and the Société des Amis d’Intertexte at Senate House, University College, London, 23-24 September 2005. * "The Book of Mrs Noah (1987) de Michèle Roberts : un roman aux sentiers qui bifurquent." 44th Symposium of the Société des Anglicistes de l’Enseignement Supérieur « Parcours / Détours » at the University of Versailles Saint-Quentin-en-Yvelines - 14, 15 and 16 May 2004. * "Écrire après et à partir des grands maîtres : entre hommage et création (Julian Barnes, Michèle Roberts, Alain de Botton)." Seminar of the research centre « Lire et représenter le présent » (Catherine Bernard) at the University of Paris VII – Denis Diderot - 7 November 2003. * "Récritures du Déluge et de l’Arche de Noé dans la fiction contemporaine de langue anglaise (Coover, Findley, Winterson, Roberts et Barnes)." Conference « La Citation à l’œuvre » organised by the « Laboratoire d’Études et de Recherches du Monde Anglophone » at the University of Provence (Centre Aix) - 17-18 January 2003. * "Oranges et pommiers : figures du bovarysme dans Boating for Beginners (1985) de Jeanette Winterson." International Conference « Emma Bovary, le bovarysme et la littérature de langue anglaise » organised by the ERAC at the University of Rouen - 13-14 December 2002. 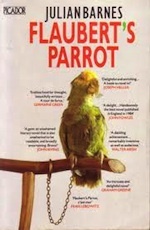 * "Sur la piste des perroquets : les figures de la quête dans Flaubert’s Parrot de Julian Barnes." 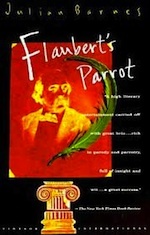 International Conference « Flaubert’s Parrot de Julian Barnes, “un symbole du logos” ? » organised by the CELCLA-ERAC at the University of Rouen - 9-10 November 2001. 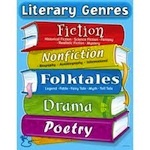 * "Transfiguration des genres littéraires dans la littérature britannique contemporaine (Jeanette Winterson, Jonathan Coe, Alain de Botton)." International Conference « Les littératures de genre » organised by the research centre « Écritures du Roman Contemporain de Langue Anglaise » (Paris IV Sorbonne) and the « Centre de Recherche sur les Origines de la Modernité dans les Pays Anglophones » (Paris X-Nanterre) at the University of Paris IV-Sorbonne - 16-17 March 2001. * "Du psittacisme à l’émancipation ? La transtextualité flaubertienne dans Flaubert’s Parrot de Julian Barnes." Seminar of the research centre « Écritures du Roman Contemporain de Langue Anglaise » at the University of Paris IV-Sorbonne - 19 January 2001. * "The rewriting of sacred history in the first chapter of Julian Barnes’s A History of the World in 10 1/2 Chapters (1989)"
Seminar of the research centre « Écritures du Roman Contemporain de Langue Anglaise » at the University of Paris IV-Sorbonne - 3 November 2000. * " “My wife ... died” : une mort en pointillé dans Flaubert’s Parrot de Julian Barnes." International Conference « La mort : mise en scène, mise en texte » organised by the Société d’Études Anglaises Contemporaines at the University of Havre - 6-7 November 1998. * "Excentricité et interlinguisme dans Metroland et Talking It Over de Julian Barnes." International Conference « L’excentrique dans la littérature britannique contemporaine » organised by the Société d’Études Anglaises Contemporaines at the University of Montpellier III-Paul Valéry - 14-15 November 1997.